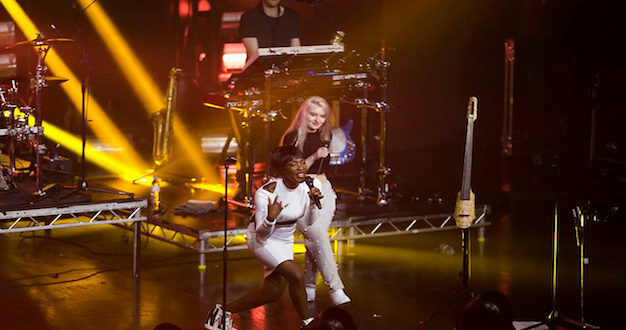 A range of DPA microphones were deployed for Clean Bandit’s recent tour dates, which took in key cities around the world. 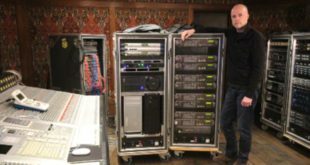 Paul Hatt has worked as monitor engineer for Clean Bandit since March 2015 and also runs a sound hire company, CS Audio, based in Wales. The band has been touring almost constantly since the start of 2015, with Hatt working on many major festivals around Europe before heading to America, the Far East and Australia for the final legs of the tour. The band has gleaned critical acclaim for its detailed sound that combines electronic dance music, live strings and drums. Hatt explained: "In Clean Bandit, just about everybody sings, and there are guest vocalists, too. This meant that the number of handheld vocal mics had to be significantly increased. We began with three and are now up to six, with all but two being DPA d:facto Vocal Microphones." As well as d:facto, the band also used d:dictate 2011C Twin Cardioid Microphones in the drum setup – on the rides, hi-hats and overheads, with d:vote 4099 Instrument Microphones on the top and bottom snares. Clean Bandit switched to DPA microphones on Hatt’s recommendation, soon after he started working with them: "The d:facto Vocal Microphones simply sounded the best. That’s why we went with them, and they are working out really well," he said. 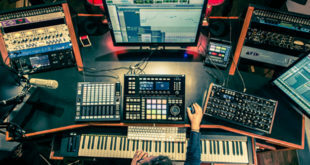 The group can use up to 44 channels per show, with live drums, electronic drums, eight channels of backing tracks, multiple keyboard channels and sequencers, as well as a live cello, violin and six vocals. The band use custom-made in-ear mics that help keep on-stage clutter to a minimum, but even so they still have radio mics and packs to deal with, as well as 20 channels of RF. "A large proportion of time is spent simply finding free channels for the RF," Hatt continued. 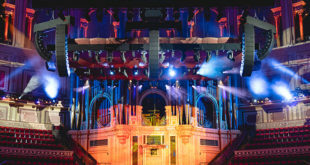 "It’s pretty much taken care of at the larger festivals – we book them with Ofcom and work out a schedule, but every territory has different regulations, so there is always a lot to think about." When it comes to miking instruments, especially drums, Hatt said that correct positioning is just as important as having a good mic. "It’s like having a good drum technician to tune a drum kit properly," he concluded. "You need a good microphone, which is why we use DPA, but you also need to make sure it is in the right place – that sweet spot on the instrument or drums. It’s crucial to get your sound right at the source before amplifying it, so my advice is go back to basics and get it right."